The start of April offers up an interesting stellar challenge, testing the observing dexterity of astronomers; casual or otherwise in a race against time.. This is all about spotting first magnitude stars; those ranked brightest in the sky. 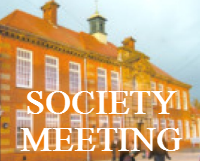 The fifth society meeting of the season, in the extravagantly named Caedmon College Normanby Site (you may know it as Whitby College or Whitby School), Room H1. A Star Party will be held at Whitby Youth Hostel as part of the Dark Skies Week schedule. 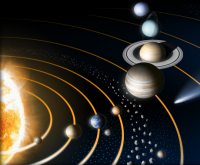 We will make a Scale Solar System demonstration as well as observation if skies permit. Event Date: 12th February 18:00-20:00h. A Star Party at Boggle Hole Youth Hostel as part of the Dark Skies Week events. There will be a Scale Solar System demo and observing if skies are clear. Event Date: 13-Feb-2018 at 18:00-20:00h. 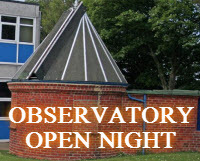 The North Yorkshire Mors Centre in Danby is the venue for a star party for the Dark Skies night festival. This event calls for all hands on deck – assuming the weather plays ball. Should it be cloudy an indoor presentation will be given. Event starts at 19:00h (More info at our February meeting). Robin Hoods Bay Brownies visit to Whitby Observatory.